to view Sub-Total Amount of your order. If you change item amounts you must click to recalculate. as Shipping Amount depends on the Weight and Destination of the package. To place your Wholesale Order today, please call 1-800 395 2196 during Regular Business Hours MO-FR 9-5 EST, or FAX Order to: (407) 271 8483. 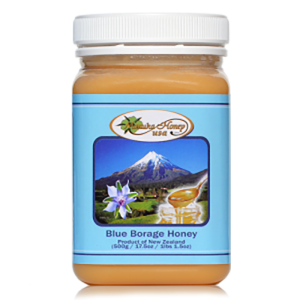 Please Note, New Zealand Regulators recently decided that the entire Manuka Honey Industry must remove the word “active” from their labels. According to their opinion, the word “active”, seems to apply some type of activity. 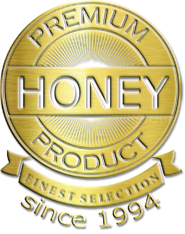 Manuka Honey USA has been the leader in importing this precious honey into the US since 1994, for the past 25+ years. We have decided to pre-comply in advance, before mandatory enforcement. You will no longer see the word “active” on our labels for that reason. 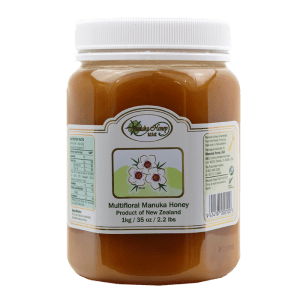 Manuka Honey UMF®16+ has been researched over 26+ years by Dr. Peter Molan from the Waikato University New Zealand, and other researchers, and was found to naturally help eliminate staph, strep, h. pylori, MRSA & VRE wound infections, in both humans and animals. Our website is an integral part of this Wholesale Price List & Order Form. When you purchase products from us, you agree to our online, common sense “Terms & Conditions”. We accept 5 major credit cards, Visa, Master, Diners, Discover, American Express and Wire Payments. Once payment has been received in full, we will ship your order within 24-48 hours, during Regular Business Hours MO-FR 9-5, EST Orlando Florida. All Wholesale Orders are final, we do not accept any returns. We are here to help answer all your questions to your full satisfaction, before placing your first order, just ask for Elaine.